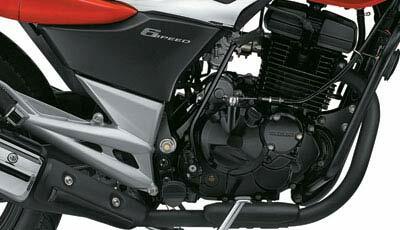 Folks over ar Blograzy have gotten hold of the picture gallery of Suzuki's latest 150 cc motorcycle, the GS150R. 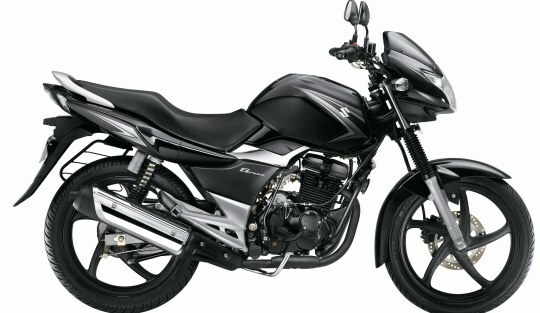 The motorcycle is not yet present in the market, but was unveiled before Diwali to get the spectators chatting and media buzzing. 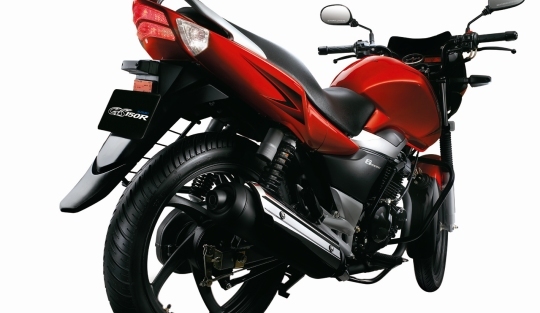 The Suzuki GS150R is powered with a 149cc engine which develops 13.8bhp of peak power at 8500rpm and 13.4Nm of peak torque 6000rpm. It is mated to a six speed transmission. 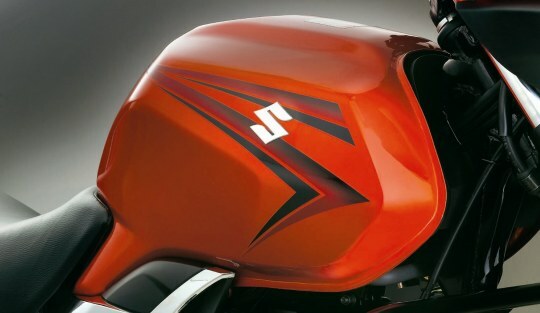 Fuel will be fed to the engine via a carburetor as opposed to earlier reports which said the GS150R will be fuel injected. 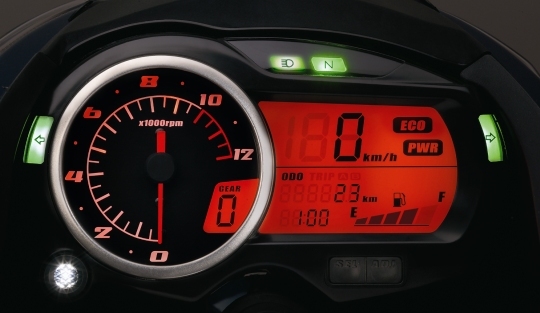 The digital console looks clear and neat and comprises of the digital speedometer, digital fuel meter, digital trip distance meter, digital gear position and the power/economy mode (similar to what TVS has been offering on bikes like the Victor and the Scooty). 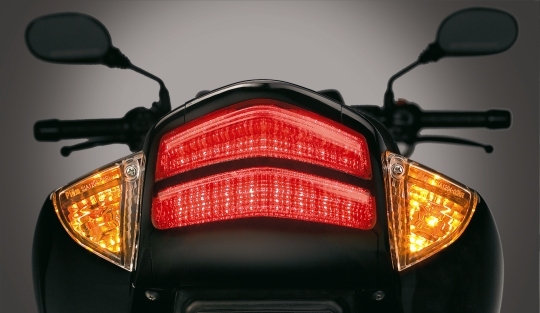 The two-stripe brake light premieres on the GS150R and the 6-speed transmission is being offered for the first time in the 150 cc segment. 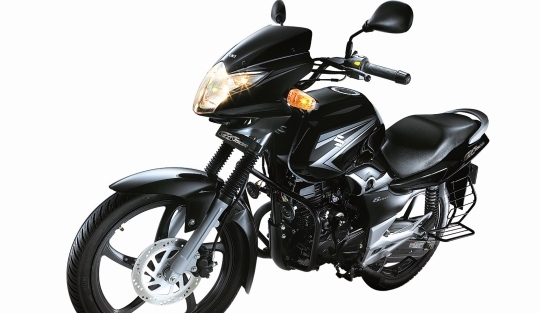 Attractive facets on this bike are the gas charged shock absorbers and the 15.50-liter fuel tank, both supplementing to the conveniency aspect of the bike. Maximum speed is around about 120 k's and the 45-50 kmpl (City), 50-55 kmpl (highway) fuel consumption figures gives you additional reasoning as to why you should not invest in the Pulsar or the CBZ. Both the Heat and the Zeus were comfy bikes. 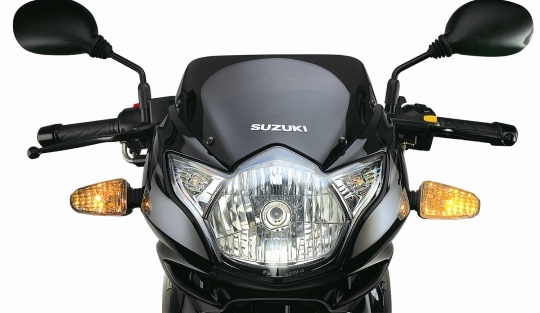 The riding position and aptly-positioned handle bars implied the Suzuki engineers favored comfort over looks. Likewise, the GS15OR's wide and well scooped out seats should offer good comfort for long distance cruising as should the handle bars.